I adore a good historical romance. What could be more fun than exploring a new time and place while falling in love in the process? However, I don’t particularly adore the oh-so-popular prairie romance. So I’ve been very excited to find lots of new CBA historical romances set in time periods I enjoy. This summer I particularly focused on books set in America from the late 1800s through the early 1900s. Note that each of these books are located in civilized areas with well-educated, cultured heroines. Ahh, how’s that for a nice change? I’ll let you in on the basic plot lines as well as some of the strengths and weaknesses of each as we go along. 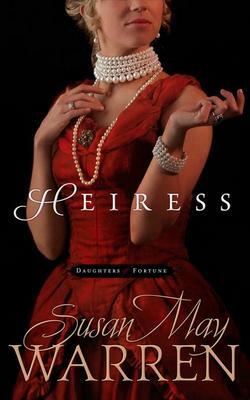 Heiress by Susan May Warren – This was my personal favorite of the bunch. It’s a story of two sisters, both wealthy heiresses in the early 1900s, who follow very different paths in life. One marries for money, while the other follows her dreams to the West where she starts her own newspaper. Perhaps better described as a historical novel with romantic elements, the book is full of surprises, twists and turns, and emotional depth, as it follows them through several decades. What I loved about it was that it took a very real look at the difficulties women faced at that time in history rather than play on the fallacy of “the good old days.” It was realistic and gritty with a lovely literary touch. I’ve heard some readers complain about an adulterous situation in the book, however I think this is an important issue, and the author handles it well. I wish she had made a clearer connection between the adultery and the abuse the heroine suffered, but nonetheless, I would highly recommend this book to anyone who is willing to look at the hard side of high society life. Making Waves by Lorna Seilstad – I would call this one a perfect vacation read. It’s certainly the funniest of the bunch. Lighthearted and full of life. The story takes place on a resort in 1895. The sassy, spunky heroine is determined to learn to sail, although she can’t swim. She pulls plenty of Lucille-Ball-worthy stunts, and her inner dialogue is hysterical. I suppose my only issue was that, as with many romances, much of the early tension has to do with the heroine's blind stubbornness. However, as the story progresses, real issues arise as the man her father wants her to marry shows his true colors. I can’t say this story really stuck with me, but I certainly had fun while reading it. 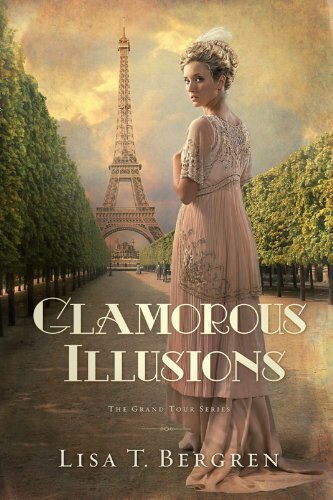 Glamorous Illusions by Lisa Bergren – My favorite part of this book is that it follows the heroine on the grand tour through Europe in 1913. I loved that, including the cruise aboard a Titanic style ship and the gorgeous Edwardian fashions. It’s fun seeing it all through the eyes of a simple farm girl, who has only recently discovered that her real father is the local copper baron and questions the excess around her. This book had plenty of emotional depth as well, because she has also learned that she is an illegitimate child, and she struggles to find her place in the world and in her new family. Only her thoughtful tour guide (a.k.a. handsome hero) seems to understand her and be on her side. This book was well-written and enjoyable, but I had two small complaints with it. One, not being a prairie lover, I felt that the beginning on the farm dragged along for too many pages, although I stuck with it for the promise of the grand tour. Two, I was surprised that while one storyline concluded, there was not much resolution at the end. You have to continue reading the series to see how the romance turns out. However, I liked it enough to keep reading if time allows. The Rose of Winslow Street by Elizabeth Camden – Last but not least, this book set in Massachusetts in 1879 was by far the most unexpected of the bunch. A Romanian family of refugees claims a house based on an old will while the owners are gone for the summer. That’s a lot of originality right there. Add in that the Romanian hero grows flowers for perfume and that the heroine who is the daughter of a professor has a severe reading disability, and I was totally hooked. As I mentioned, I hate reading the same old same old, and this was entirely fresh. Of course I’m sure you figured out that it’s her house he’s taken, and yet this good-hearted, artistic heroine finds herself drawn to him and his entire family. The book deals with plenty of very real and stirring issues like prejudice, a minor character whose life was devastated by soldiers in Romania, and a heroine who is verbally abused by the father she loves. The climax of this story was unusual, in that the true emotional climax most strongly affected a minor character and took place in her point of view. Yet it was so beautiful and spiritually triumphant, I can’t bring myself to think it should have happened any other way (although I would have liked to have seen more of her POV earlier). If you want a book truly off the beaten path that still falls in the romance genre and has a happily-ever-after, this just might be the one for you. What historical romances have you read lately? What did you like? What didn't you like? I was completely invested in these characters and there were many. I felt like I was watching a mini series. AND THEN IT ENDED. no HEA. ugh! Which is of course why there's a next book. IT was a mix of Downton Abbey and The Great Gatsby and definitely has that big screen feel. I have Glamourous Illusions on my Kindle and also a different Lorna Seilstad (both unread). Having some familiarity with Elizabeth Camden's first book I think I perfectly understand your review. She is a fresh voice in the genre. 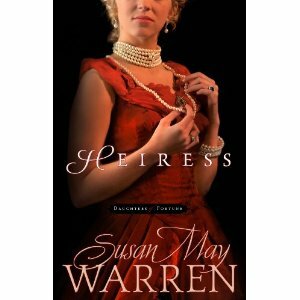 Yes, Deb, I think lovers of Downton will enjoy Heiress. Same sort of feel. I suppose one could argue Camden's book wasn't plotted well. The internal and external conflicts didn't quite come together for the big bang at the climax the way the experts suggest, but a part of me was cheering for her for getting away with it. LOL. Probably because of that beautiful scene I mentioned. I have all of these but haven't had the time to ready any of them. Le sigh. They sound great! Roseanna, I didn't mind that it wasn't a typical romance, but if I had been her editor I would have wanted her to tighten up the climax to keep the emotion higher right up until it resolved, and like I said, more of that minor character point of view throughout. I really liked her. Thanks to WhiteFire, I can no longer read a book without content editing. I think you'd really like it though. I just finished The Girl in the Glass - setting: Florence; combination historical and contemporary as Susan Meissner is so good at. Thanks for the recommendation, Suzie. She's on my list of authors I need to check out still (these four were all new to me) along with Cathy Gohlke. 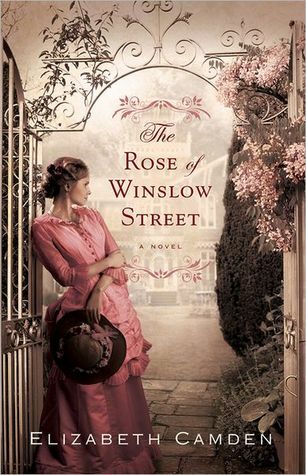 I enjoyed the Rose of Winslow Street, also! It was the only one I've read of the group. I just finished Her Good Name by Ruth Axtell--set in Holliston, Maine in 1892--really good!! These sound great, Dina, and I haven't read any of them. Thanks for the heads-up! Thanks for the recommendation, Cheryl. I enjoy Ruth's books too.